Improve your vehicle’s brake performance and safety with comprehensive brake inspection, maintenance and repair services at AAMCO Roslindale, MA. When it comes to brake repair and service here at AAMCO Roslindale, MA, we know your brakes are the last thing you have time to worry about. 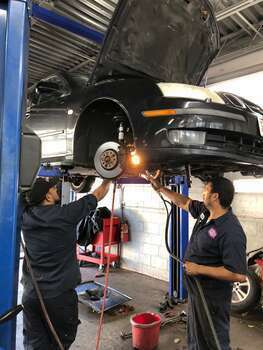 Our Brakes & Auto repair specialists make sure you leave our center with peace of mind knowing that your car received the best care, all at the right price!